Noise is typically viewed as a distraction, something to be eliminated. People learn in business or engineering courses that it’s the signal-to-noise ratio that needs to be maximized. But it doesn't have to be this way. Instead, particular noises can serve as signals that your business is healthy. "Generally, one of my favorite things about this job and owning this business is related to noise, to sound," Churney tells me. For him, certain noises indicate that he is attracting new customers and meeting their needs in a highly competitive industry. Adapt his perspective to evaluate your own approach to gaining and keeping customers and help your employees pay attention to "noises" that are really positive signals. Related: There Are Always a Million Distractions. Here's How to Silence the Noise and Pay Attention. 1. Respond appropriately to customer requests. For Churney, a key initial sound is that of the phone ringing, which informs him that the marketing dollars spent by his franchise have created awareness so potential customers know how to reach his business. Make sure that you respond to the noise of customers contacting you in a way that’s professional and designed to lead to a sale. A critical next step for this Two Men and a Truck franchise is conducting an accurate cost estimate for someone's upcoming move, presenting another opportunity for employees to demonstrate professionalism and result in a move order. The second key noise at his business, according to Churney, comes from a printer generating a work order for a moving job after a phone call. These initial moving jobs are an opportunity for Churney's company to impress a customer and score more business. How Two Men and a Truck responds to such noises critically affects whether they become "sweet sounds," such as customer praise, or distractions from the message the company tries to convey in the marketplace. As Dawn Kroeger, communications and external affairs manager for Churney’s corporate parent headquartered in Lansing, Mich., says, marketing noises have been altered and amplified with the growth of social media. "The thing about these noises, whether good or bad, is that they can be heard by anyone and everyone," she says. 2. Communicate when new business is won. Dashboards can be useful. But unless they are visible or generate audible cues so real-time information is regularly communicated to everyone, employees may begin to think that procuring new business is an automatic process, when it’s anything but. The third key noise for Churney, he says, is the sound of engines murmuring, a sign that commerce is about to happen." The noise of trucks revving up in the morning signals one of his favorite times of the day, he says. It represents to him a time to reinforce an important value of his franchise, employee safety, through the equipment and vehicle checks that he makes sure happen. Since the workplace varies according to the many different homes, apartments and businesses where moves take place, focusing on safety is of vital importance for Two Men and a Truck. Make work routines audible or visceral to ensure that employees focus on performing the right set of tasks at the right time. The "closing bell" for Churney is the noise of employees' dropping off keys as they turn in their completed paperwork, which tells him they have executed the plan for the day. The franchisor also views the noise that builds whenever people congregate as a positive aspect of company culture and it even finds ways to create even more noise. Suppliers are invited to the company's annual meeting where they can then share ideas with franchisees and one another about how to grow their businesses. 4. Celebrate a successful job loudly and clearly. 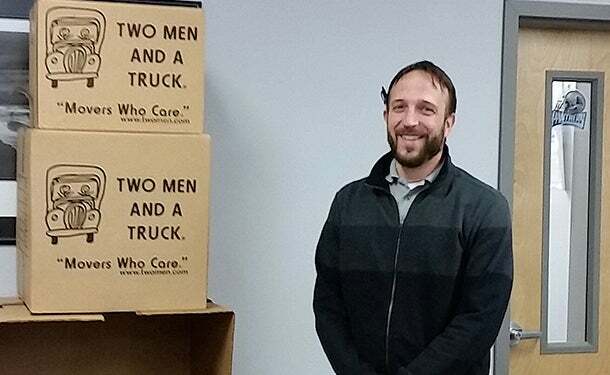 Two Men and a Truck recognizes the performance of its franchises in highly memorable ways at annual meetings. The company also celebrates success with employees at its corporate office, who generate their own set of noises: Kroeger refers to the "laughter on the charter bus traveling to a Detroit Tiger game or the sounds of children giggling as they launch a water balloon attack on their unsuspecting parents at a company picnic." Is the celebration of success audible or visible in ways that energize your employees to repeat it on the next project or job? Instead of being a distraction, noise (if properly used) can be a source of energy for your company. Noise should not then be viewed as a detraction in business. Listened to carefully, it can become a source of positive energy that creates a virtuous cycle in developing customer relationships.